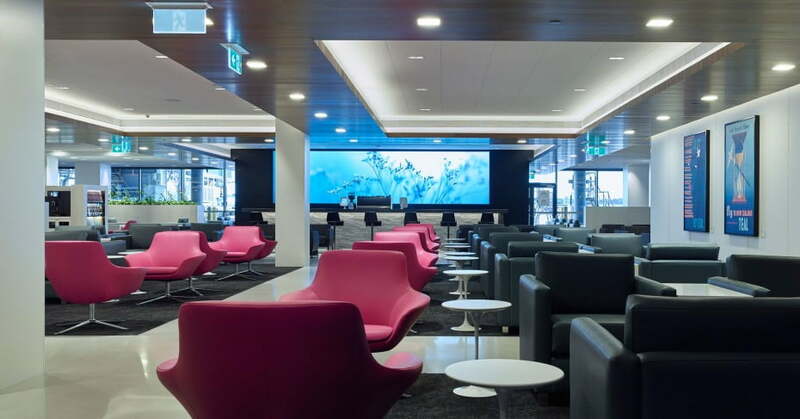 Our Air New Zealand Lounges are a great place to start and end your holiday or work trip. 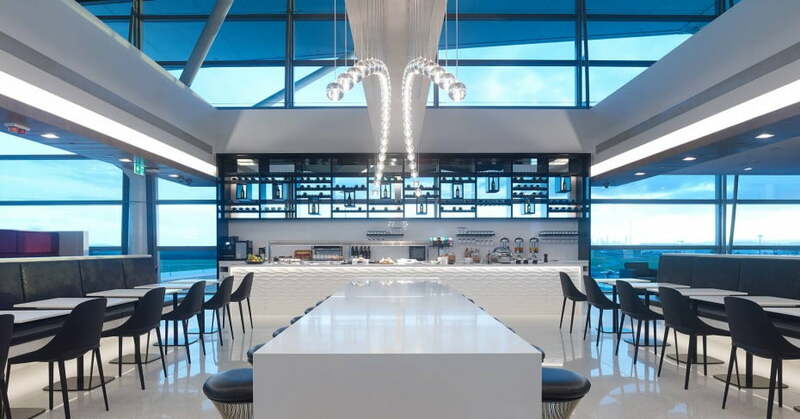 We own and operate three international lounges at Auckland, Wellington and Christchurch airports, as well as four locations in Australia and two in the Pacific Islands. 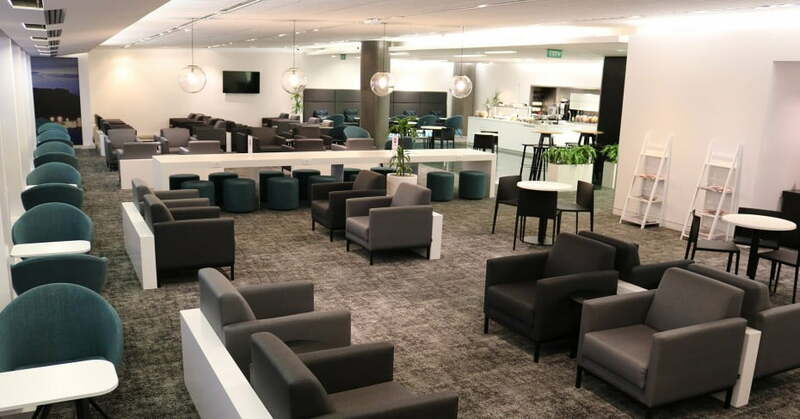 A brand-new Air New Zealand International Lounge opened in Perth early December 2017. 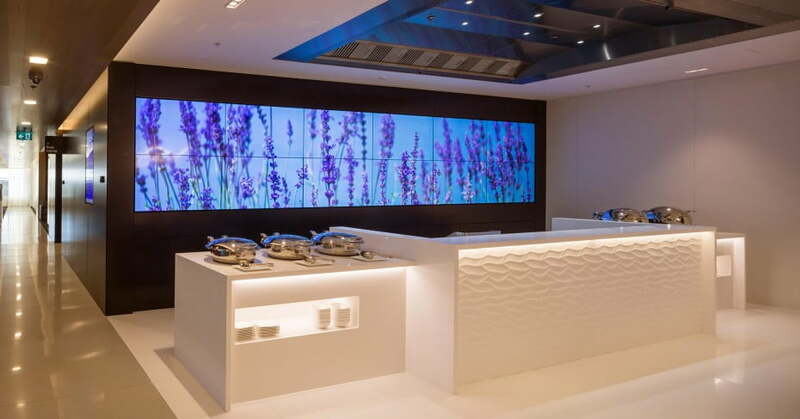 This is our flagship lounge in New Zealand which opened in 2015. It features an ultra-modern design with a mix of tailored seating zones to meet the different needs of our travellers whether they’re looking to relax, refresh or get some work done before they fly. This lounge overlooks the runway and features a covered outdoor terrace and fireplace offering a year-round outdoor area. This lounge is available to eligible travellers who are in transit. Your guest/s must enter the lounge at the same time as you and be departing from the same airport terminal on an Air New Zealand international flight or an eligible international flight with the airline you’re departing on. Guest access is subject to space on the day. Open from 4:30am until the last departure. 2100m2, seating for 375 guests. Food theatre, buffet meals, light refreshments, barista coffee and bar. WiFi, business desk, laptops available on request and printing facilities. Toilets, showers, towels and hairdryers. This lounge had a soft refurbishment and opened early December 2017 with 20% more seating than before and most seats now feature direct access to power/USB charging facilities. It offers a range of different seating including lounge and business. Members will also enjoy the new self-service food buffet in the refreshed space. Open 90 minutes prior to departure. 394m2, seating for 118 guests. Self-service food buffet and self-service drinks station. Toilets, shower, towels and hairdryers. A sleek, well-equipped and comfortable lounge. An excellent place to relax. Open 2 hours and 30 minutes prior to departure. 597m2, seating for 125 guests. This is our flagship lounge in Australia which opened in 2015 and was the first lounge to carry the modern design formulated in conjunction with award-winning global architectural firm Gensler. This lounge has a number of different spaces for travellers looking to relax, refresh or plug in and get some work done before their flight. A key feature of this lounge is the bar where travellers can enjoy a barista made coffee by day, and a New Zealand wine or beer by evening. 1450m2, seating for 299 guests. Light refreshments, barista coffee and bar. This new lounge opened early May 2017. With a 50% increase in seating from the previous lounge, eligible guests will enjoy barista-made coffee and a choice of five different zones including lounge, business and quiet areas. Large windows offer views under the building canopy out to the Melbourne International Airport tarmac. 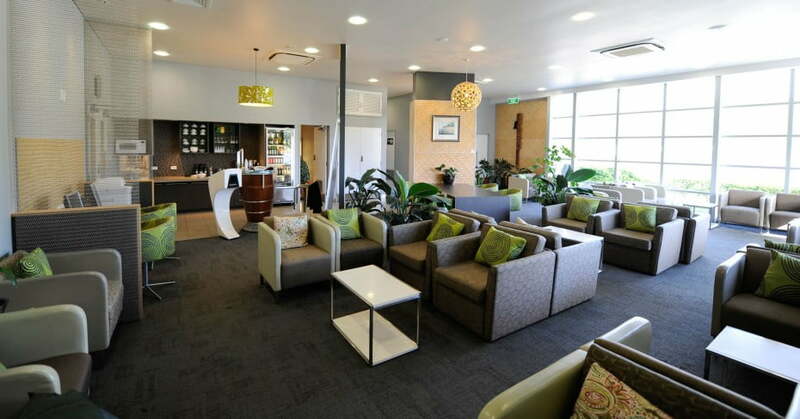 This lounge is located on the ground floor of Melbourne's International Airport terminal. After security and immigration, walk through the duty free area to the escalators. 1,241m2, seating for 249 guests. Self-service food buffet, two self-service drink stations and barista coffee. WiFi and business facilities, most seats feature direct access to power/usb charging facilities. Opened in 2016, this sleek and spacious lounge is a remarkable example of contemporary airport lounge design. Subject to Brisbane International Airport Security operating hours, the lounge opens daily at 0500h. 800m2, seating for 185 guests. This brand-new lounge opened in December 2017, with views over the terminal concourse area. In our signature, ultra-modern design this lounge features a range of tailored seating zones to meet the different needs of our travellers whether they're looking to relax, refresh or get some work done before they fly. 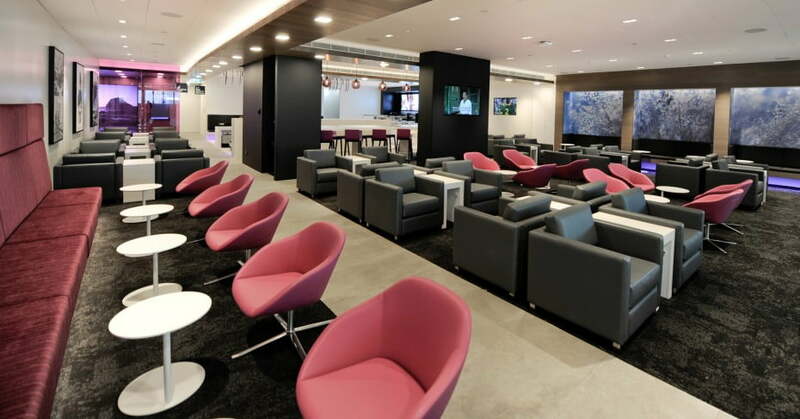 This lounge is available to eligible travellers who are in international transit. 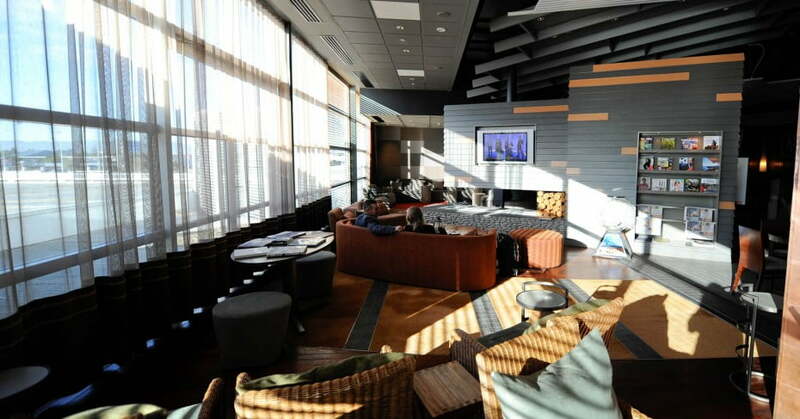 In line with check-in, the lounge opens 2.5 hours prior to flight departure. This lounge is located on Level 2, the Departures level of the international terminal. After security screening and immigration, walk past the Duty-free shopping and find the lounge entrance adjacent to Gate 52A. View the Perth international lounge map. 441m2, seating for 113 guests. Self-service food buffet and drink station. WiFi, business desk, most seats feature direct access to power/usb charging facilities. Opened late 2016, this new lounge is more than double the size of the previous one and can accommodate 140 percent more customers. Offering five different zones for travellers to enjoy a meal, relax, play with their kids or get some work done. A focal point of the new lounge is the café with a new self-service buffet and beverage offering. After security and immigration, follow the signage on the right hand side of the escalator. A comfortable and functional lounge with views of the runway.